An estimated 4.5 million Americans are injured by dog bites each year, with some being more severe and life-threatening than others. One in five dog bites becomes infected and require medical attention. Ultimately, dog bites are a harsh reality, even though most stories are not shared or reported to the media each time they happen. Attacks and serve-dog bites have great and sometimes life-altering impacts on families and pet owners, which is why it’s important to grasp the real facts about dog bites. Due to the number of dog bites each year, laws have been enacted to regulate the ownership of dogs and other types of pets in peoples' homes. The Centers for Disease Control (CDC) says that the rate of dog-bite related injuries among children is highest in the 5-9 year old age group. All children should have at least the minimum knowledge of dog bite prevention. Parents should educate their children on how to interact with dogs, and the types of behavior that can provoke a dog to bite. Children should understand how to properly play with dogs, and the proper protocol for when a strange dog is in the vicinity. The Insurance Information Institute says new numbers show the average cost of a single dog bite claim last year was $37,051 in 2017. In Washington state, the Northwest Insurance Council's latest numbers show total bite claims exceeding $9 million. Homeowners insurers paid out over $686 million in liability claims related to dog bites and other dog-related injuries in 2017. Injuries from dog bites and attacks cost $412 million in 2009, compared with $387.2 million a year earlier, the fifth straight increase. The number of claims increased 4.8 percent to 16,586. Nearly 4.7 million people are bitten by dogs each year and 50 percent of dog bite fatalities are children under 10 years old. These dog bites range from minor injuries to serious dog maulings, resulting in bodily injury and even death. 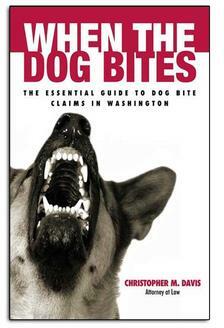 In 2012, there were an estimated 38 fatal dog attacks in the United States. In the US, approximately 100 children are bitten by dogs every day and approximately 92 of these children will need medical attention. One third of all injury claims against homeowner liability policies are related to dog attacks. Dogs not known to the victim account for approximately 10 to 20 percent of all reported dog bites. In the United States, pit bulls make up 1 to 3 percent of the overall dog population but cause more than 50 percent of serious attacks. The breeds most involved in fatal dog bite attacks are Rottweilers and pit bulls. The most common purebred dogs that are involved in biting humans are German shepherds and chow chows. The CDC states that a chained dog is 2.8 times more likely to bite a person than an unchained dog. Dogs that are not spayed or neutered are three times more likely to bite a person than those dogs who have been sterilized. According to the Insurance Information Institute, dog bites accounted for about 25 percent of all claims on homeowner’s insurance, costing more than $321 million in 2003. A male dog, age 1-5 years old, is more likely to bite someone than a female at any age. If you or a loved one has been injured as a result of a dog bite or animal attack, you may benefit financially from consulting with an experienced dog bite attorney. Pursuing a dog bite claim can be extremely complex and often requires a greater knowledge of the civil legal process. To schedule a free legal consultation with Attorney Chris Davis and have your personal injury case personally reviewed by our award-winning legal team, contact Davis Law Group, P.S., or call our office at 206-727-4000 today.